Backstage at Betsey Johnson show! The one show we can always expect to be fun during New York fashion week is Betsey Johnson show. Charmin, upbeat, latest Dancing With the Stars contestant’s collection was inspired by marriage and wedding equality with an exciting panel of dramatic gowns. Drag queens and Bravo TV’s Real Housewives walked the runway with a quite impressive front row of supporters and fashionistas. These looks would not be complete without the proper make up! 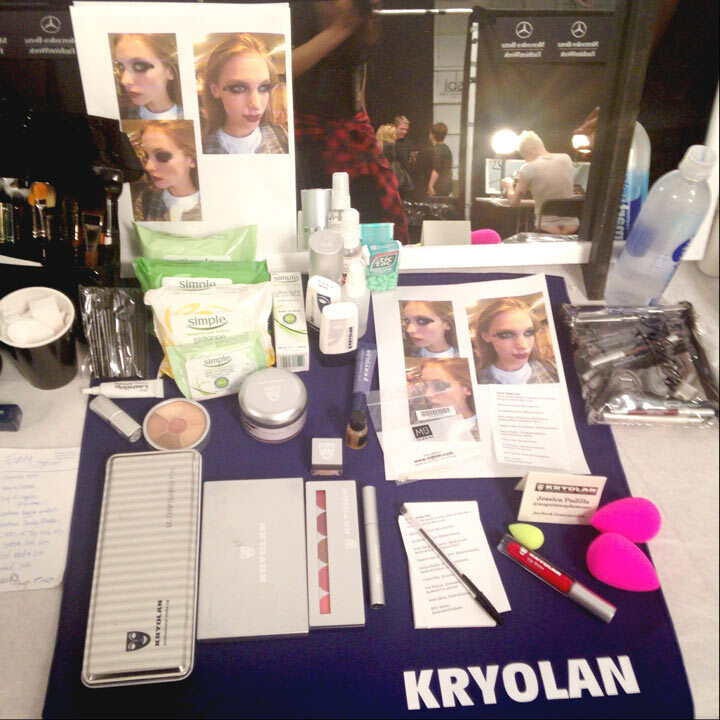 Kryolan Professional Make-up teamed up with Betsey Johnson to create the “doll like” smoky eyes with extra long lashes and bold red color lips. As the designer called it these “perfectly imperfect” eyes look, created by Kryolan’s key make up artist Kelly Thompson flawlessly complimented her Spring/Summer 2015 collection. “Betsey loves color and theatrical makeup which made this partnership a really great fit” said company’s USA CEO Claudia Longo who flew in from San Francisco to support her team.